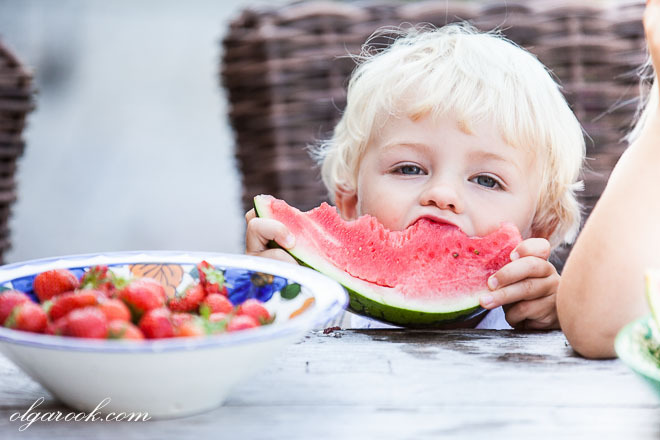 Photoshoots with children are such a joy! It is fun interacting with the kids and making the photos but it does not stop there. I have so much giggling behind my computer when I look at the happy and funny faces. 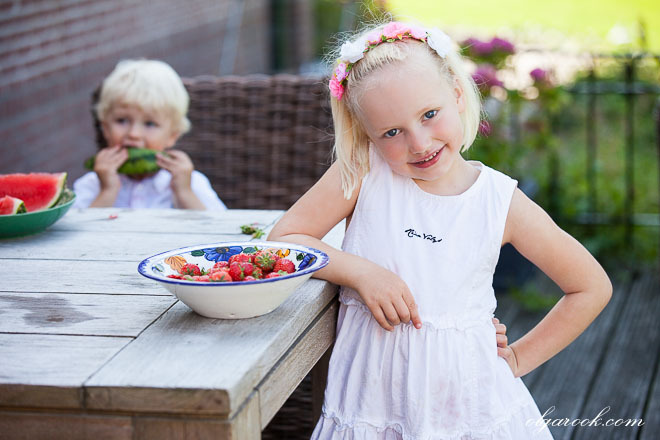 I just cannot help sharing this episode from the recent photo session with Josje and Stijn in Bleiswijk. 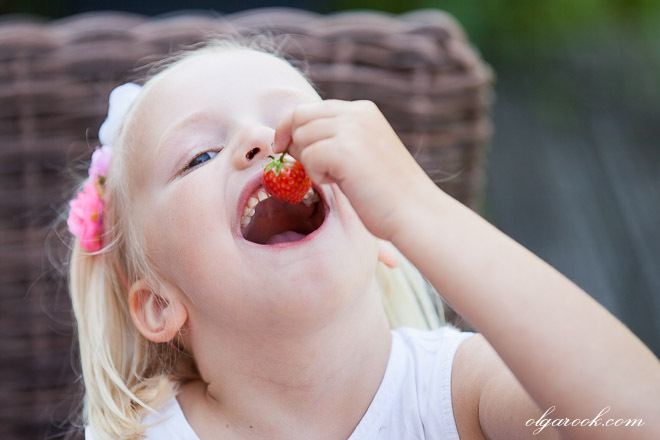 The kids run around and quickly get thirsty and hungry: then it’s a moment of a sugar shot. On location it is often a plastic bottle with juice and a sandwich: important but not very photogenic. But when you have the freedom of your own garden (or the grandparents’ garden as in this case) then a little break can become picturesque! 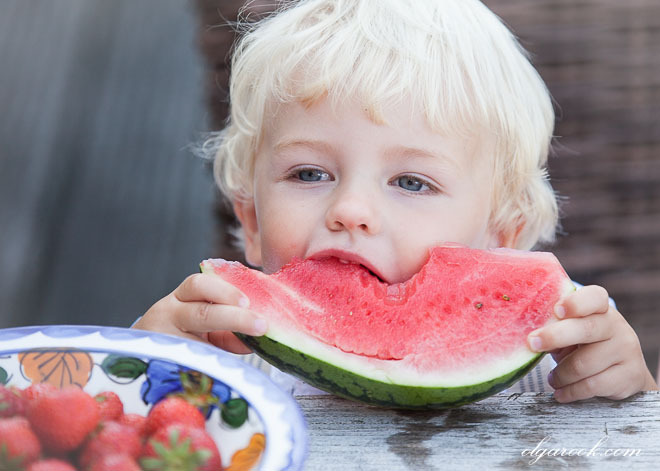 Watermelons and strawberries: what a juicy treat! 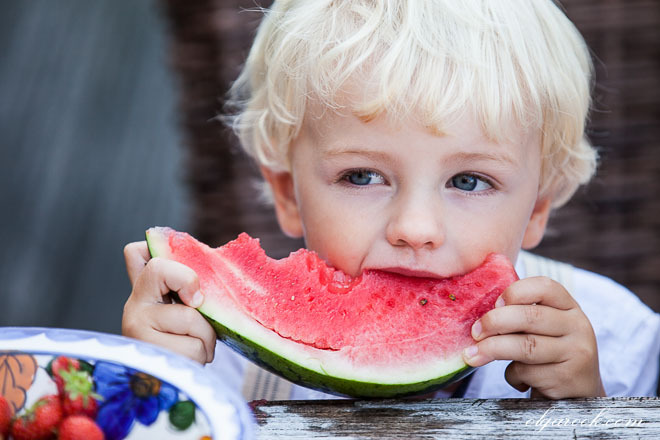 Just look how little Stijn enjoys his watermelon that is almost bigger than himself! 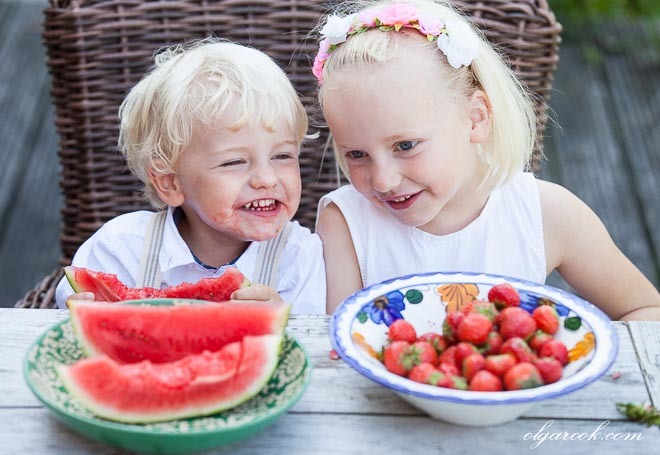 The juice came all over his blouse but it was worth the joy (especially when there is another blouse laid aside). 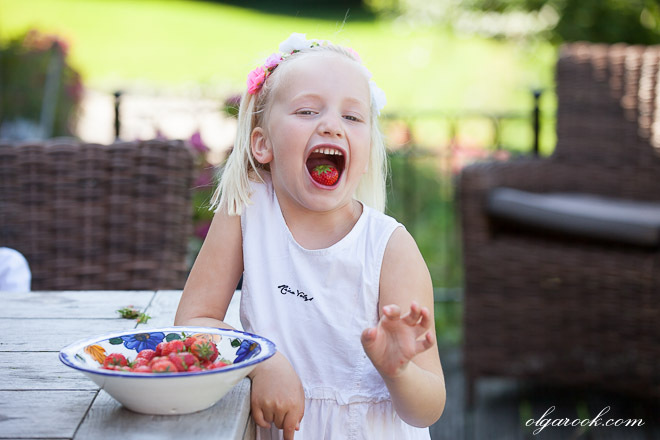 And Josje with strawberries: oh, that tricky smile! I also love the natural colors in this scene: watercolor-like and fresh. 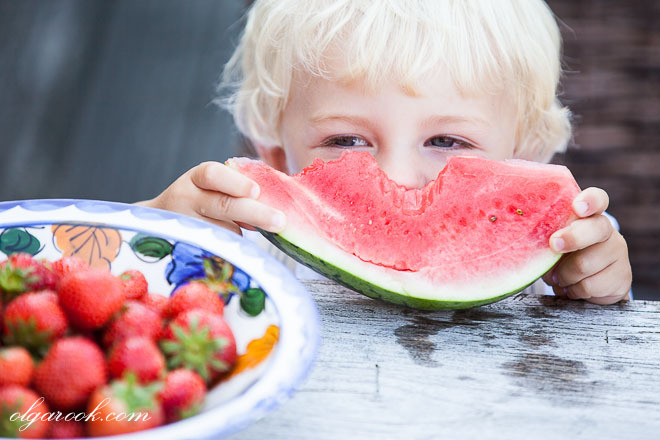 Aren’t these images just a slice of summer joy?